Kelly the Culinarian: For the Win! 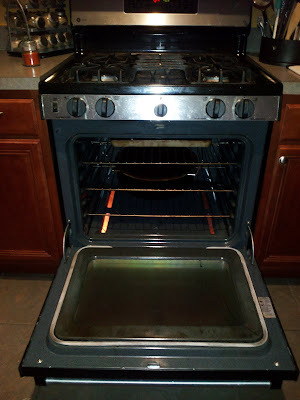 A working oven! For the not-so-low price of $250, we now have a new electric igniter (which gives me a flash back to our broken furnace) and an oven that can create all my favorite tasty treats. It's a good thing, too, because I'm having some lovely ladies over for a chocolate party Sunday and would like full use of my oven. 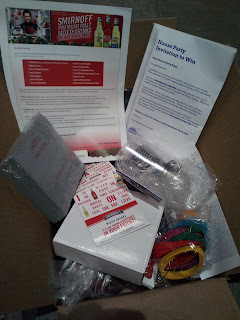 Another fun delivery today is my Smirnoff party pack from House Party. The ladies and I will be enjoying adult beverages from Smirnoff through this program. They also sent me some decorations, party games, cups and a digital camera. I already did my Insanity workout for the day, so now it's on to cleaning for the get together and using my newly renovated oven!